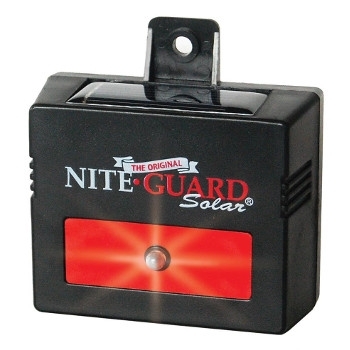 Nite Guard Solar® has been proven effective in repelling predator animals through overwhelming evidence from testing by our company and tens of thousands of users. 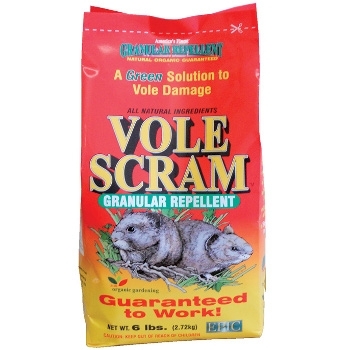 Vole Scram Granular Repellent, 6 lbs. 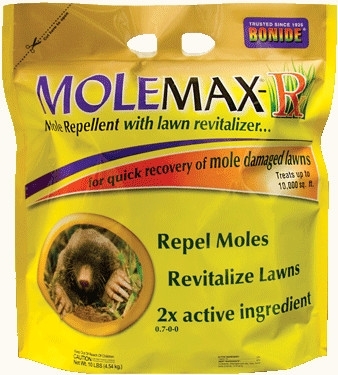 Vole Scram is a new and unique natural repellent that drives out voles from your garden and lawn. 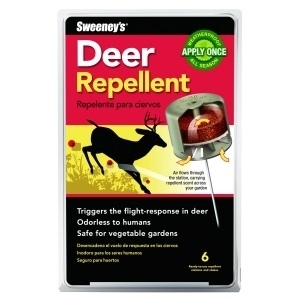 Unlike other repellents, it works by taste AND smell. 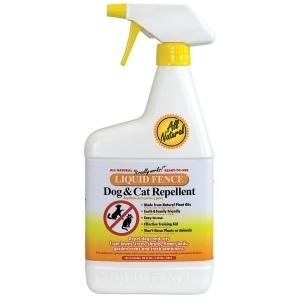 It is easily applied and contains ALL organic ingredients. 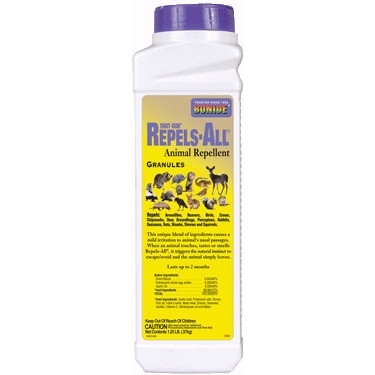 It won’t harm people or animals and won’t wash away with rain. 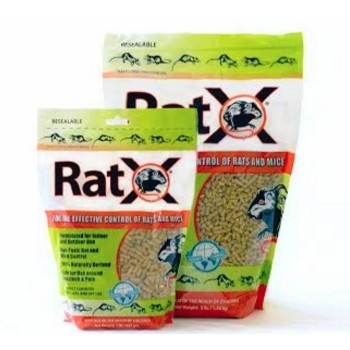 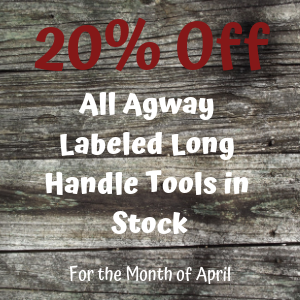 Ratx All Natrual Rodent Bait is perfect for both professional and do-it-yourself use. 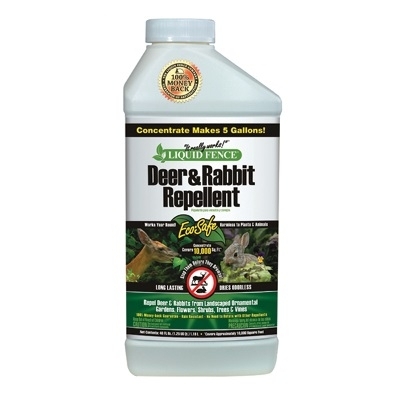 It's also formulated for indoor and outdoor use. 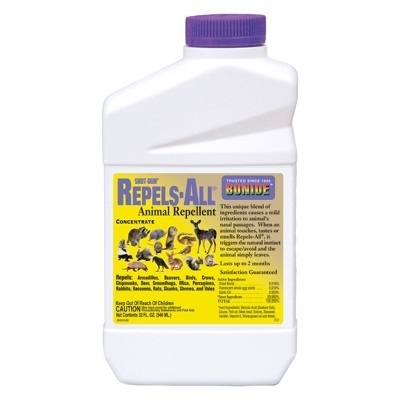 This is safe to use around livestock and pets. 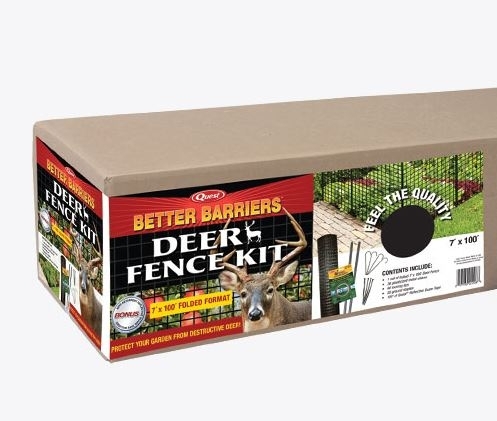 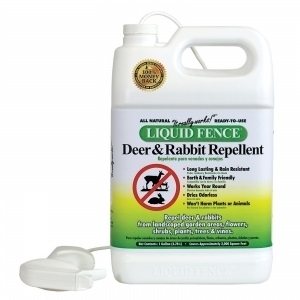 Liquid Fence Granular Deer/Rabbit Repellent, 5 lbs. 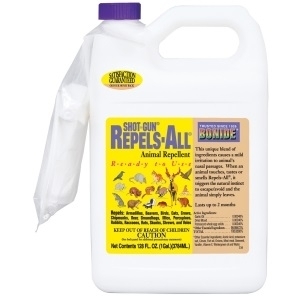 Bonide Shot Gun Repels-All Animal Repellent Spray repels by touch, taste and smell to stop and prevent damage by deer, rabbits, squirrels, beaver, ground hogs, skunks, moles, voles, raccoons, rats and birds for up to two months. 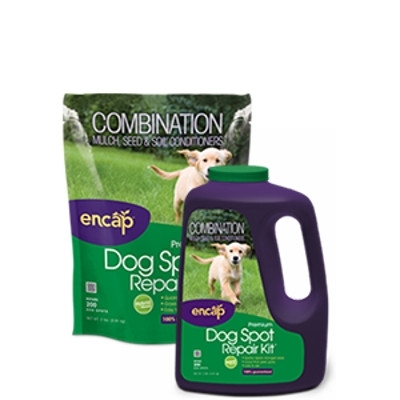 This unique formula is made with all-natural ingredients and is safe to use around children and pets. 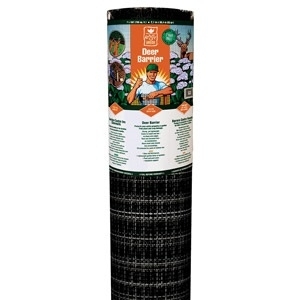 Take care of pests without chemicals by using the Easy Gardener Garden Defense Action Owl. 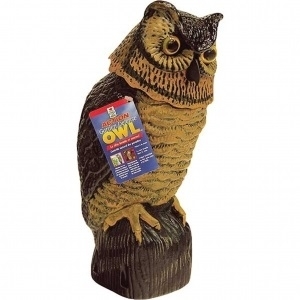 The Action Owl’s bobbling head moves and spins in the wind. 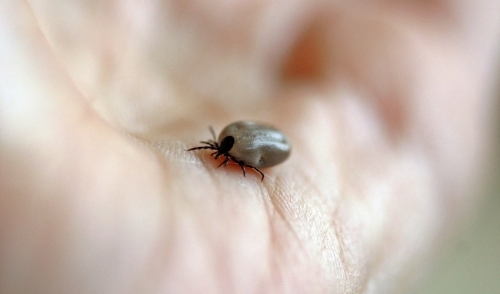 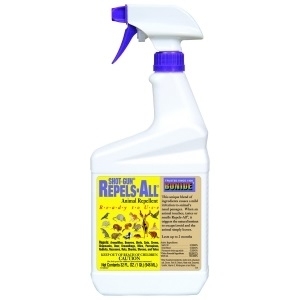 This realistic movement will frighten away garden pests. 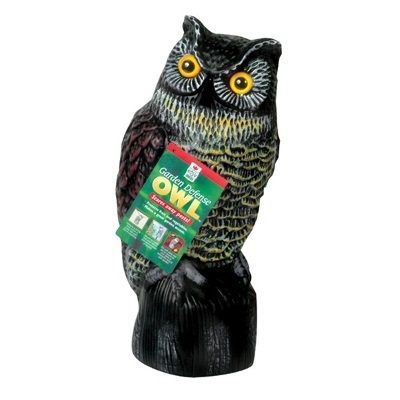 Lightweight and multifunctional, the Action Owl is easy to install and can be used year after year. 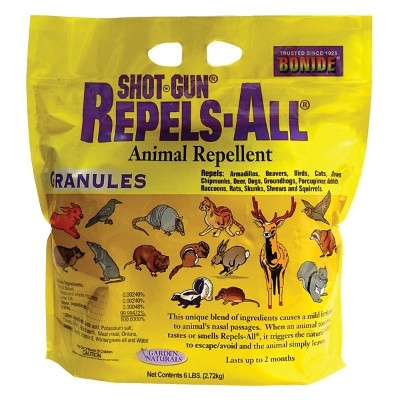 Bonide Shot Gun Repels-All Animal Repellent Concentrate repels by touch, taste and smell to stop and prevent damage by deer, rabbits, squirrels, beaver, ground hogs, skunks, moles, voles, raccoons, rats and birds for up to two months! 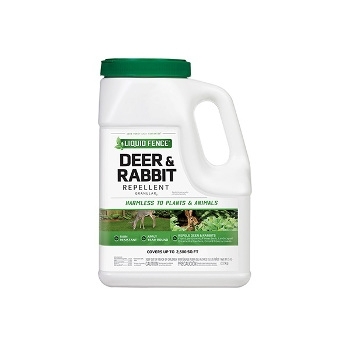 This unique formula is made with all-natural ingredients and is safe to use around children and pets. 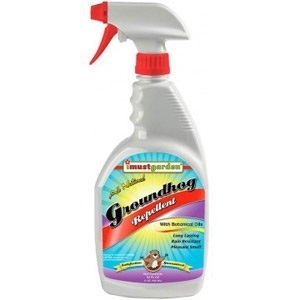 Keep groundhogs (also know as woodchucks) from destroying your garden with our effective all natural groundhog repellent. 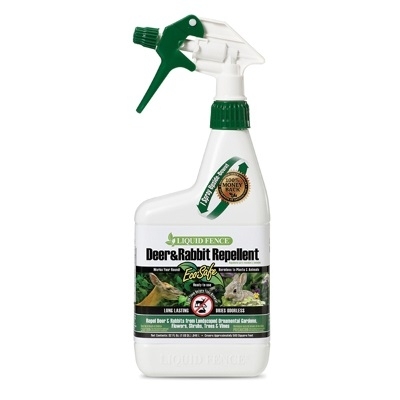 Like all of our products, we only use natural botanical oils and other natural ingredients to repel groundhogs. 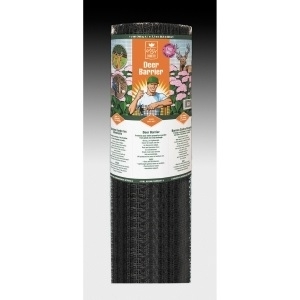 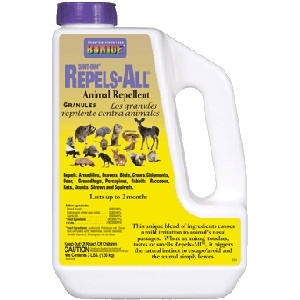 Bonide Repels-All Animal Repellent Granules controls by touch, taste and smell to stop and prevent damage by deer, rabbits, squirrels, beaver, ground hogs, skunks, moles, voles, raccoons, rats and birds for up to two months! 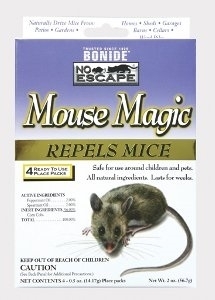 Made with all-natural ingredients, this product is safe to use around children and pets and will not harm any animals.